Are you ready to slip behind the wheel of a new or new-to-you Mercedes-Benz luxury sedan, coupe, or SUV but want to know how much your current vehicle is worth before bringing it into the dealership? Finding out has never been simpler than it is with our Value Your Trade tool. Simply fill out the Value Your Trade form below with your vehicle’s information and any applicable photos you may have, as well as your contact info, and get a fair estimate from the comfort of your own home. We understand and respect your privacy so we will never share your personal information with anyone. 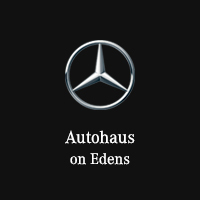 If you have any questions regarding our Value Your Trade tool, the trade-in process, or purchasing a luxury vehicle from our Mercedes-Benz dealership in Northbrook, IL, don’t hesitate to reach out the experts at Autohaus on Edens using our contact form or by calling (847) 272-7900. By submitting this form you agree to be contacted by a Autohaus on Edens staff member.